Secure Your Website Now With SSL! Raise the level of security and protect your customers by giving them security and confidence to make transactions on your site. We offer various security products from worldwide known brands and a wide range of SSL certificates, backed by our personalized attention and our high quality support. Increase your sales by showing how serious you are about security to your clients installing a renowned brand SSL certificate, increasing the trust and sales in your site. As an SSL-encrypted website, the certificate improves your web presence and reinforces your company’s reputation. SSL, or Secure Sockets Layer, is a data security tool that was designed to keep communication over the internet safe. Data sent via an SSL connection is protected by a mechanism called encryption that scrambles the data in transit to prevent theft and tampering. All SSL provide same encryption, however mechanisms of obtaining a certificate varies by type a.k.a validation type. Will SSL boost my website's SEO ranking? Yes! 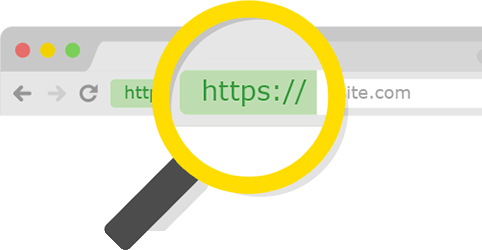 Google has announced in August 2014 that SSL/HTTPS is now an official ranking signal. Although it probably doesn’t have as much weight as let’s say, high-quality content, it is indeed a ranking signal nonetheless. What’s monumental about this announcement is that Google never ever openly states their ranking algorithm’s factors, but for this major movement towards a safer web, they couldn’t resist. Google now gives preferential treatment to websites and pages secured by trusted SSL certificates and it is now the easiest thing a site owner can do to boost SEO rankings. What is Domain Validation (DV) ? Domain validated certificates include your domain name in the certificate (not your business or organization name). These certificates are cheaper and usually issued in minutes as the Certificate authority validates your domain by looking at the WHOIS information for your domain. However, these certificates provide less assurance to customers. An EV certificate is designed to prevent phishing attacks and provides the highest level of assurance to your customers. It requires extended validation of your business and authorization to order the certificate (you will be asked to submit a few documents). It can take a few days or few weeks for a certificate authority to issue an EV certificate for a domain. But, it provides maximum assurance to customers by making the address bar of the customer’s browser turn green when they visit your site. No. A single SSL certificate covers every page within your domain. If your SSL certificate is issued for www.mydomain.com, then your SSL certificate will work for https://www.mydomain.com/index.html; https://www.mydomain.com/support/about_us.html and so on. However, if you want to secure subdomains (e.g. something.mydomain.com, jobs.mydomain.com), then you may need to purchase a wildcard certificate instead. EV certificates involve the highest level of SSL certificate validation. To issue EV certificates, the vendor is required to determine domain control, and to independently validate extensive information about the applicant’s business entity and the employment status of the certificate applicant. If the applicant’s business does not have verifiable online business information, a Professional Opinion Letter (POL) can be submitted to the vendor, which need to contain all the specified information and be signed by a lawyer or certified public accountant located in the business entity’s locality. Among the features of EV certificates is the Green Address Bar within the web browser’s URL window, containing the name of the company for easy customer reference and assurance. If your website contains login or web forms which require customers to enter their personal or credit card information, the level of user trust becomes essential. An Extended Validation SSL is what your fast-growing online business needs. Certificates with Extended Validation are the top class of SSL available today. They provide the highest level of user trust among all certificates on the market. These certificates protect data transmission and assure your website visitors they’re dealing with a legal and trustworthy company verified by an established Certificate Authority such as Comodo, Symantec, GeoTrust or Thawte. If I'm renewing an EV certificate, do I have to re-authenticate my business registration details? Each renewal order is case-by-case and validation is still dependent on your current business registration details. For EV orders, if the renewal certificate is not generated within 13 months of the original certificate, the CA cannot roll over previously validated information and will require the applicant to re-authenticate the entire order.